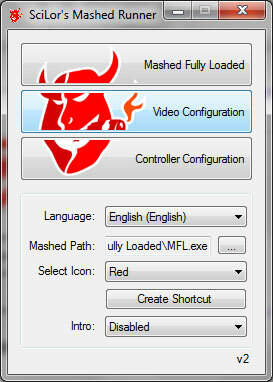 SciLor's Mashed Runner allows you to run Mashed Fully Loaded ;). It bypasses the launcher of the game, so you can run the game without installation and any cd. This way you may just copy the game onto an usb-stick and play it anywhere. that define the language and if it should show the settings.